Food has always played an important role in the circle of life. How many of your have heard the expression ‘an army marches on its stomach’ or ‘an apple a day keeps the doctor away’? We can’t do without it and for many of us, well prepared and well-presented food is one of life’s pleasures. Food on holiday is no exception, it’s an important part of the experience. It’s always fun to try local dishes and learn about food in a different country. In Botswana the national dish is seswaa and sadza. Seswaa is meat (usually a beef joint) that has been cooked long and slow. Once tender it is shredded by pounding. This tasty dish is usually served with sadza, a white, creamy maize meal that you may initially mistake for mashed potato until you try it – delicious! It amazes me how the remote caps and lodges in Botswana manage to put on such magnificent spreads at mealtimes. It really is a case of organisation and skill, producing delicious meals in the bush must be a logistical nightmare – let’s be honest, you can’t pop down to the corner shop if you run out of milk or eggs. Even the mobile safari companies produce superb fare using only a campfire for cooking. If you have food allergies, you need not worry. The lodges and camps are used to catering for all manner of requests so don’t feel you have to miss out on a safari or even delicious food because you have a nut allergy or if you’re vegan, you can and will be catered for, your meals will be as delicious and appetising as the rest. 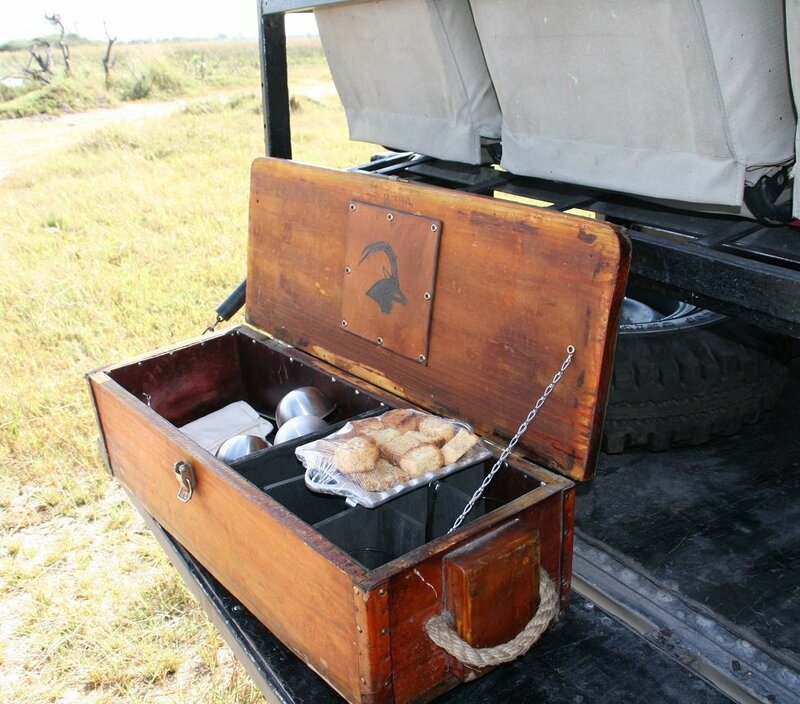 One thing’s for sure – you won’t go hungry on safari! The day starts with a simple snack at first light, perhaps a muffin or some porridge with a strong cup of coffee to wake you up. After your first activity you’ll return to camp for a hearty breakfast or brunch. It’s time for a siesta or if you brought a skipping rope with you, you could burn off a few calories. Then it’s high tea with a sweet and savoury option. 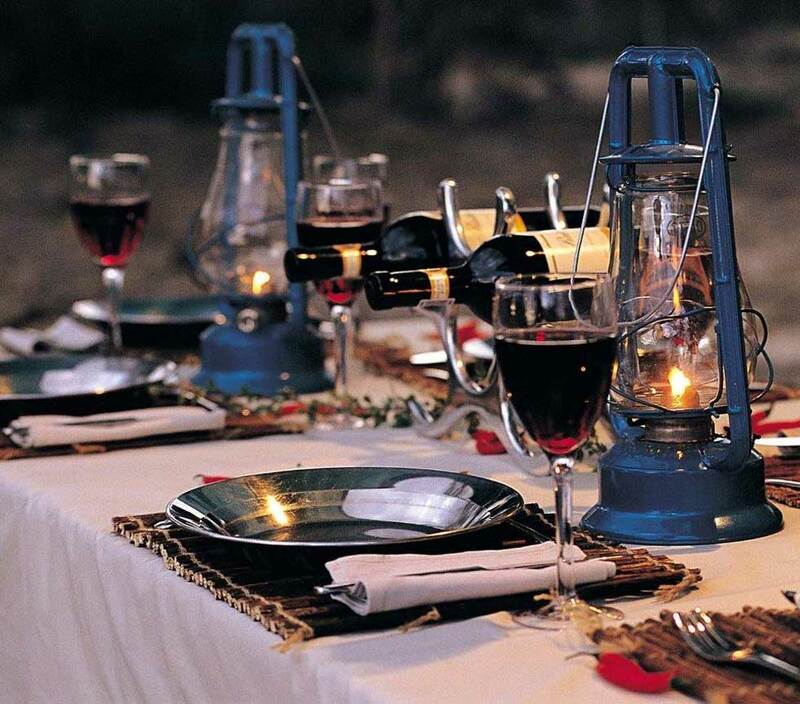 Later, after your afternoon/evening activity you’ll return to camp for a delicious dinner, usually three courses. Then it’s bed time, and you’ll get up tomorrow to do it all over again. A good suggestion is to befriend the chef and see if you can get any top tips that you can incorporate into your meals when you return home. They will often be more than happy to share recipes with you and will be flattered that you enjoy the meals they have prepared for you! What could be nicer than reproducing something you enjoyed on safari once you are in your own kitchen at home!